Melbourne in Winter is a gorgeous place to be and with the white snow in the Victorian alps not far away and that chill of a Winter breeze coming off Port Philip bay. It can certainly help to conjure up thoughts of a Winter Christmas. 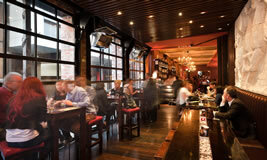 Xmas in July is a common winter warming promotion for many restaurants and venues in Melbourne. It's that special act of offering something more for the customer on these chilly Melbourne July days and nights. What a great idea! 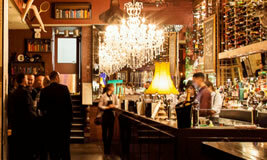 The venues of Melbourne light up in Winter nights and are lovely and warm inside! From those venues tucked away in city streets or lanes to those that have views out over the Yarra River or Docklands waterfront. 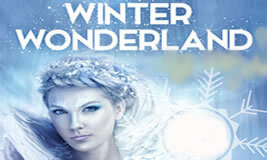 These select venues are providing Seasonal and Xmas in July promotions in Melbourne this Winter. We hope you enjoy! Hurry and unwrap these great Melbourne Christmas in July options. Whether it's a function of intimate dining with family, there's sure be something to have Winter Christmas cheer about! Santa is on his way from the north pole and Melbourne is full of great cheerful Christmas in July ideas. Functions and individual option available. Make sure you have your bon bon ready and pull! 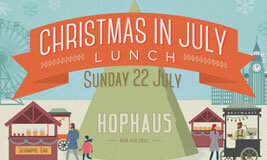 Germans love their Xmases and no finer German venue than Hophaus located on the Southbank overlooking the Yarra River. Get in the Christmas Spirit this July and join in on this one-off special event celebrating local brews. 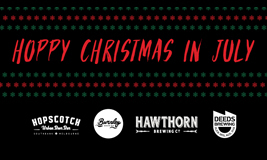 On July 25th Hopscotch will treat you to 4 beer tastings and a exclusive festive brew + lucky dip xmas gifts, festive food & LIVE entertainment. Secure your tickets today! 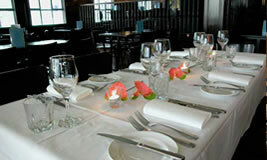 Y & J's is a perfect location for an office function from a casual meeting to a more formal event. And Chloe's Lounge and Restaurant will warm up any cold Winter! 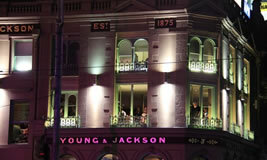 Come in to Young and Jackson, everyone knows where it is! 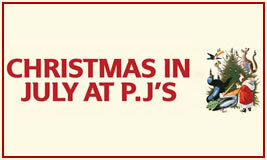 Christmas in July celebrations are on at PJ O'Briens in Southbank! If you have a group of 20 or more for work or family we can do our Xmas menu for you on any day in July. Contact our super staff to discuss. 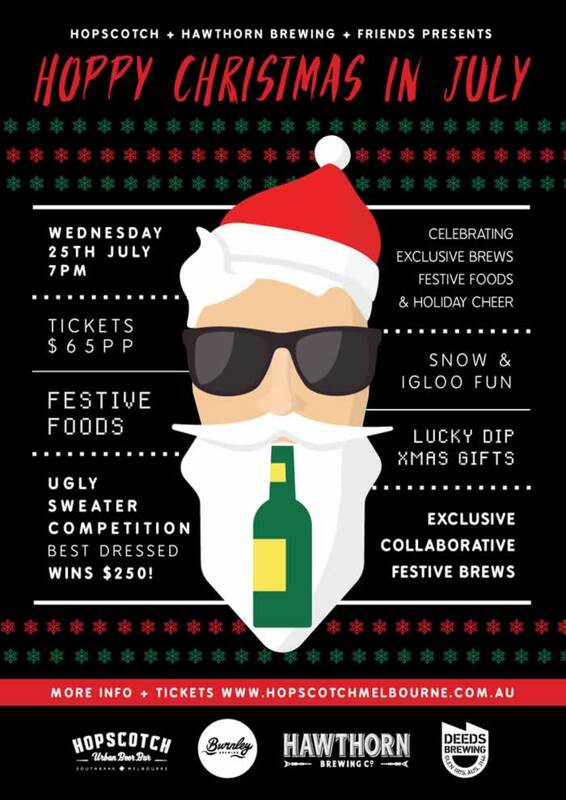 It's Winter and to celebrate talk to the team at Temperance about your office Christmas in July function. A super venue in South Yarra celebrating the spirit of a Winter Xmas! Winter down at the Docklands gets even more exciting at Harbour Kitchen. 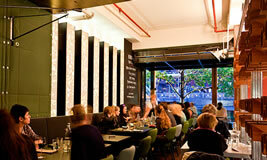 Talk to the Harbour Kitchen crew about your Work Winter Function. Awesome location overlooking the water! 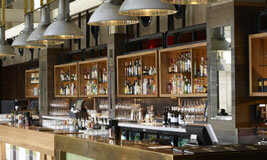 Campari House is so lovely and warm in Winter and a work function indoors is truly appreciated by the staff. So with July here why not an inspired Italian Xmas in July or similar type function? 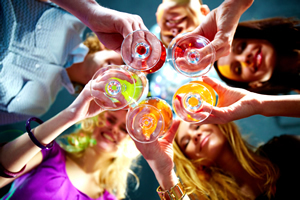 Speak with our super staff about your function for July. Have you got a function that you want to have in July. 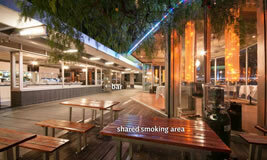 The Wharf Hotel is the place with various options. Even a Hens night is super fun! 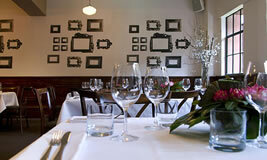 We overlook the Yarra and will have our rooms all warm and comfortable with great Winter food and drinks available! Contact our staff to discuss your requirements. 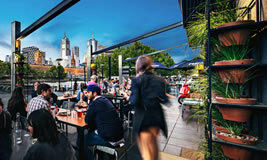 Come and have a look at Melbourne Public function spaces down on the Yarra at South Wharf. We'll warm you up this July with fabulous winter work function options! With 4 levels of function space including a roof top there are choices everywhere at Euro for your next office Winter Function. And in July why not talk to the Euro team about a Xmas in July for your crew! It's so warm and the food is lovely! Centrally located in Melbourne, State of Grace is the perfect place for a warm Winters office meeting. With fab coffee and treats open from 8am. A gorgeous winter warming lunch menu. Maybe ask them about arranging a special July Xmas Function for your work. 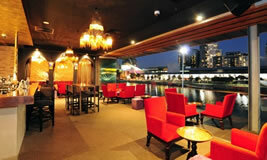 Byblos is right on the Yarra River at South Wharf with Mediterranean inspired flavours and tastes. And during Winter come in from the cold to Byblos and experience their renowned warmth and cosmopolitan atmosphere. Check Byblos out for your next winter work function! Great central location where we offer a wide range of function packages from team lunches and work birthdays to more formal and elegant designed to impress guests. Chat with our staff today to warm up your winter and who knows you may think all your Christmases are coming at once. 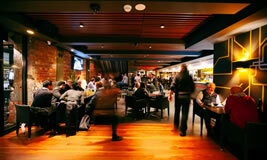 Situated near the Docklands and right near Southern Cross station Platform 28 is perfectly located for any office party. Ho Ho Ho! Yes it's time to get in the spirit of Christmas. Great flexible areas await from an intimate meeting to a broader party. And the food and drinks are impressive. It's a unique venue for your next work function. Located right on the banks of the Yarra at Southbank. Come in on Winter Sundays for a Traditional Roast. We may not have the Xmas bon bons but we will warm you up just as much with a cracker of a meal with all the trimmings! Located in a great position in Southbank opposite Flinders St Station Bearbrass will surprise pleasantly for it's Winter Warmers. This winter warm yourself up with their Weekend Specials. I like the Souper Sundays with a glass of wine! Gotta love that! 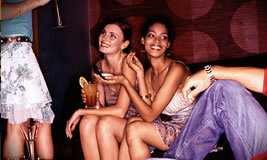 It's winter and the warm inside of Turf Sports Bar is idea for your next work function. The Turf has room for 400 stand up and 120 seated. And the winter menu will warm you up even before you have taken your first bite. 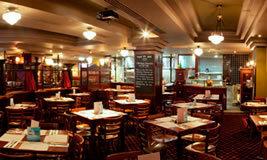 Contact the friendly staff to discuss your next meeting or function. All aboard for a party. 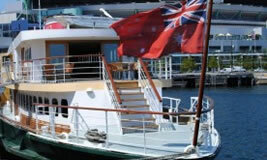 What better way than to celebrate Xmas in July about the Victoria Star sailing around Melbourne in Winter! Discuss with us your requirements for your Christmas in July function. With Xmas in July done and dusted that means we are counting down to the coming of spring and the next Big Day on the calendar, Father's Day. Make sure you check out all the details of Father's Day events in Melbourne.